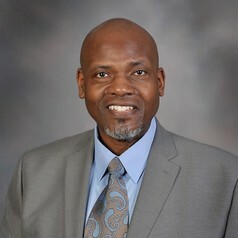 Dr. Kenneth Anderson Taylor is an Assistant Professor of the Practice, the Director of Outreach and Professional Development within the Center for Nonprofits and Philanthropy, and Holder of the Younger-Carter Endowed Practitioner-in-Residence. He routinely leads a Public Service and Administration Consulting Capstone Seminar, has taught a variety of nonprofit management courses, and has developed and delivered several workshops on the study of leadership. He earned his MBA from Bellarmine University’s Rubel School of Business and also holds a BA in Sociology from the same institution. His PhD in Leadership Studies is from Our Lady of the Lake University in San Antonio and dissertation research investigated leader behavior and job satisfaction within nonprofit organizations. Before arriving in College Station, Dr. Taylor founded and launched the Nonprofit Leadership Studies (formerly Youth and Nonprofit Leadership) program at Murray State University, and held the appointment of Academic Program Director & Assistant Professor within their College of Health Science & Human Services. As a true practitioner, Kenny has more than 20 years of leader experience inside and working on behalf of nonprofit organizations. His self-defined career highlights include the 12 consecutive years he served the mission of Big Brothers Big Sisters of America, and the five years he spent as a self-employed consultant. Kenny is also a State of Texas Credentialed Mediator. Years ago when Dr. Taylor set his sights on transitioning into academia with a vision of developing tomorrow’s social sector leaders, he put The Bush School at the top of his list. He defines landing at Texas A&M as an “honor”, and is simply here to mightily contribute to the school’s commitment to President George H.W. Bush’s philosophy of educating principled leaders for public service.